Minimalistic camping has been trending for a while now and it is no surprise. Camping with the minimal essentials allows for a new type of freedom and relaxation. However, it is still good to have a roof over one’s head. 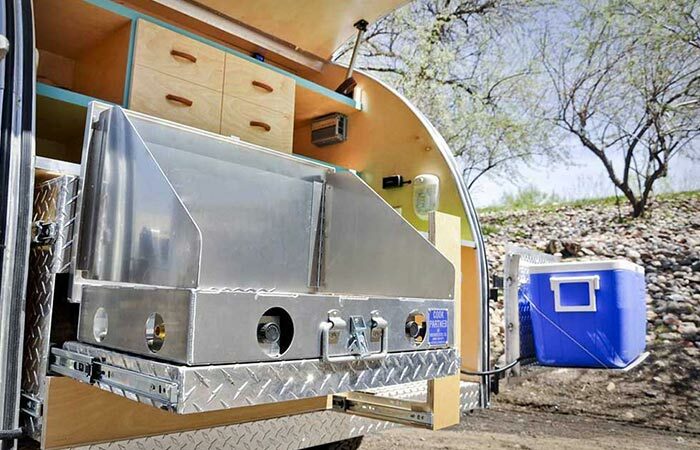 So, if you were planning on going on a minimalist camping trip while going off-road into the wilderness, then behold the Colorado Teardrops Summit Camper. 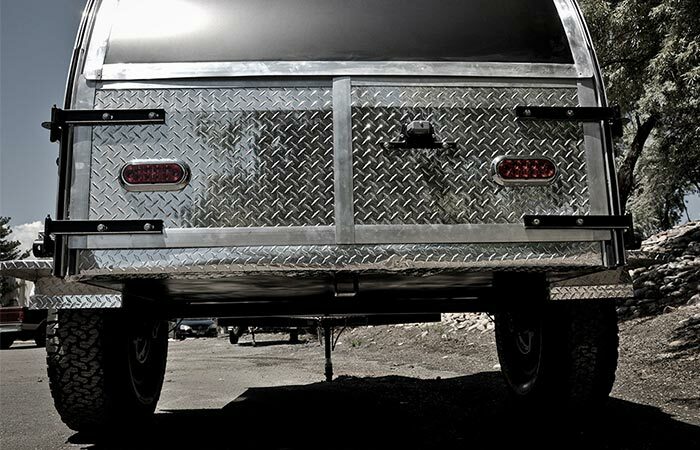 Compact, customizable and built for the off-road, the Colorado Teardrops Summit is a must have camper. The Galley gives you plenty of space and opens via twin bi-folding doors. The doors are strong enough to carry a full cooler on each side. Be it that you were planning on a weekend fishing trip, or simply camping somewhere in the forest, or even for a couple of days at the beach, the Colorado Teardrops was built to handle it and can be customized to suit your needs. The main cabin is comprised of bunk beds that convert into a sofa when not in use. This allows for plenty of space that can even accommodate a full queen size bed. Check out the general Teardrops Camper build video below. 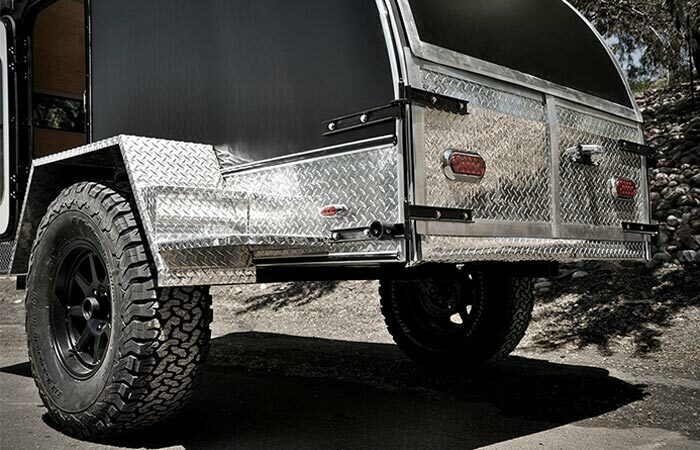 The 35″ Goodrich TA off-road tires are large enough to handle any off-road terrain that you might need to traverse on the way to your destination. For storage, you’ll be surprised to find under floor storage compartments along with a huge galley that features a stove slider and folding doors as well as plenty of shelving. The galley doors are strong enough to hold two full cooler boxes as well. Another unique feature of the Colorado Teardrops Summit is the fact that its roof is compatible with a rack and has a phenomenal carrying capacity of 1,500lbs which allows you plenty of storage for camping gear, bicycles or even kayaks. Compact, minimalist but still with a style of its own, the Colorado Teardrops Summit will turn heads wherever you go. To top this all off, this little beast features 35” Goodrich TA off-road tires, corner hardeners, full skid plate, nerf bars and a 3200lb torsion axle. However, as a minimalist camper, it only weighs 1800lbs and built ready for the hard road.